Bedlam is this Saturday! For those of you not familiar, Bedlam is the HUGE rivalry game between the Oklahoma Sooners and Oklahoma State Cowboys. This game is in Stillwater and will certainly be a nailbiter for the Oklahoma State fans because of their BCS ranking. The Cowboys lead the Big 12 with a 7-1 record. According to ESPN sportswriter, Roy Johnson, OU fans are actually rooting for OSU! What?! You can read it for yourself. Something about if OSU wins, there won't be a repeat of the National Championship next year....blah blah! Whatever. I will be cheering for the Sooners regardless. 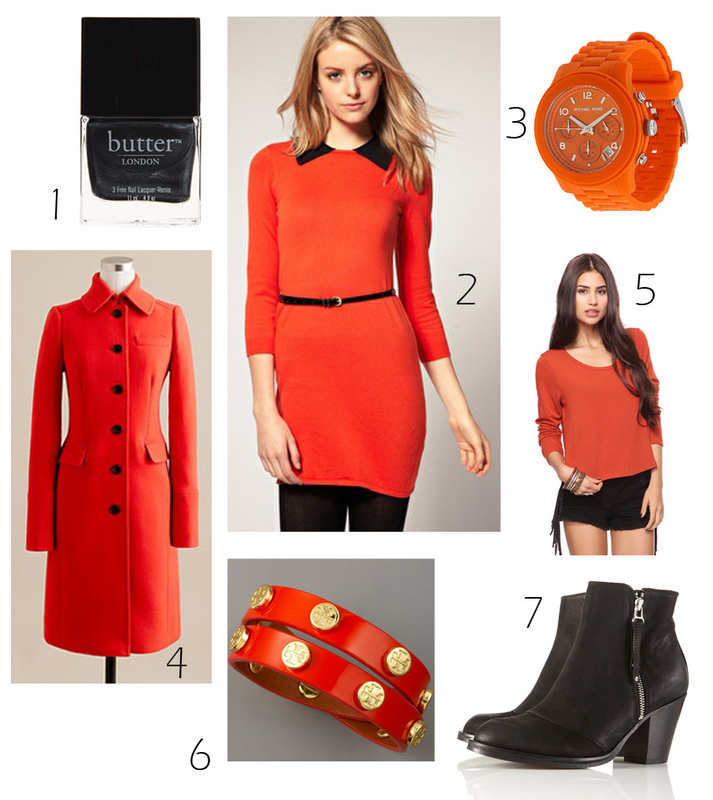 In honor of the Oklahoma State Cowgirls, I have put together a few stylish orange and black pieces. The Topshop boots are my favorite. Cheers! Happy Gameday!